Handing off tracking can also be helpful in co-teaching situations, where whole group instruction may be led by more than one teacher, or where the focus of an observation is on both teachers and you need to highlight them at different times. To hand off tracking, on the Primary Marker, press the up button on the directional pad. The record LED will blink to indicate that tracking is being offered to the Secondary Markers. For the next 10 seconds, a student or co-teacher with a Secondary Marker has the option to accept tracking by pressing the Center Button on the Marker. When the Center Button has been pressed to accept tracking, the record LED on the Secondary Marker will turn green to indicate that it is now being tracked by the base. If no Secondary Marker accepts tracking within 10 seconds, tracking defaults back to the Primary Marker. Once tracking is accepted by a Secondary Marker, the teacher can instruct a different student or co-teacher to take over tracking by pressing the Center Button on their Secondary Marker. At any moment, the teacher holding the Primary Marker can take back tracking by pressing the Down Button on the directional pad. The Swivl will rotate back to face the original location of the Primary Marker and will resume tracking the teacher. Marker Location Recall: Once tracking has been handed off to multiple Markers, the base will remember the last physical position of the Markers. When a Marker re-accepts tracking, the Swivl base will first turn to face the original position of that Marker, and then adjust its position based on its actual location. Swivl Repositioning: If the Swivl base is pointing in the wrong direction once tracking has resumed for a Marker, the person who has accepted tracking can use the Right or Left Buttons on the directional pad to manually rotate the Swivl until it regains line-of-sight connection with the Marker it should be tracking. 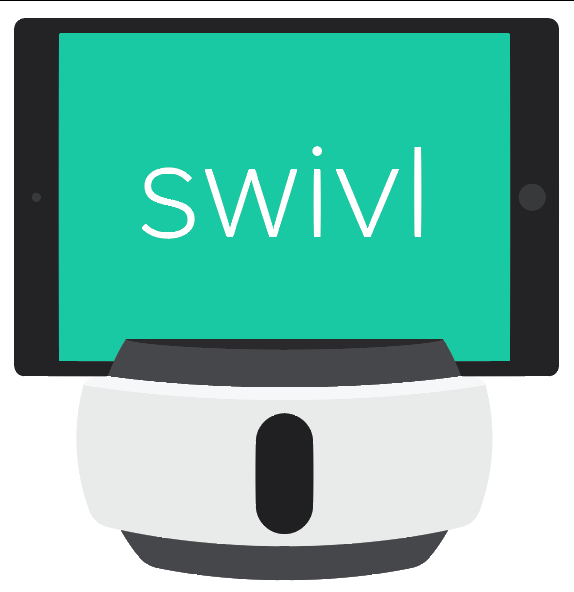 Once the Swivl is oriented properly, the Right or Left Button can be released to resume normal tracking.